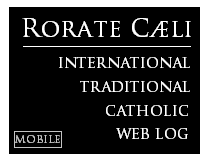 THURSDAY UPDATE: Rorate readers raised nearly $7,000! Dr. Rao still needs $3,000 to save the Forum. Please consider giving! This will be our last appeal. Please consider giving today. We have nearly fifty people registered for the 24th Annual Summer Symposium at Gardone, with application still open until March 31st. Unfortunately, we also have some very serious hurdles to overcome in order to offer our normal program, which is needed this year more than ever. As you know, the Roman Forum no longer has any endowment whatsoever, and now relies solely on donations for all of its activities. We are still $10,000 short of the $30,000 required to run the Summer Symposium. The money is used to pay for our twelve speakers' participation (airfare, room and board), as well as scholarships for priests, seminarians, and students. We have nine more speakers to support, and a backlog of fifteen scholarship applicants. This year's Summer Symposium lectures on Half a Millennium of Total Depravity (1517-2017): A Critique of Luther’s Impact on the Eve of His 'Catholic' Apotheosis" will be going into a book to be published by Angelico Press. We very much intend it to serve as a means of fighting the campaign to glorify Luther which will indeed characterize 2017. Fundraising is a very, very unpleasant work, and I promise that this, my second general request for help, will be my last appeal for help for this project. Quite frankly, I have a great fear that without your immediate assistance we may no longer be able to keep the Roman Forum going past this summer at all. See our original post on this urgent matter below from December 29. Since 2012, the Roman Forum has been operating under ever more difficult financial conditions. These have now reached a truly critical state. A generous donor has paid the cost of the hall so that this season’s New York Church History Lectures (dealing with the period from 1689 to 1748) may continue. And, thankfully, our twenty-fourth annual Summer Symposium in Gardone Riviera---which is already almost fully booked---will also take place as planned. On the other hand, we do not have sufficient funds to support more than two of the numerous international faculty members who wish to take part in that conference, or to offer scholarships to the dozens of students and seminarians who have requested them. Worse still, once Gardone, 2016 is finished, our forty-eight year old organization will have no financial means of maintaining its activities in the future. Professor Dietrich von Hildebrand founded the Roman Forum in 1968 to offer the intellectual support desperately needed for effective Catholic activism. By 1991, we realized that we had to provide that support in a much more systematic, interdisciplinary, international, and social-minded manner. This was because experience had taught us that no army of militant activists could be properly mobilized for the seemingly impossible work of rebuilding Christendom if its “basic training” were undertaken in disconnected, compartmentalized, and parochial caves. We saw that such training could only be useful if Catholics were given a sense of the entirety of the Christian Tradition, with exposure to all of its historical, theological, philosophical, political, and artistic riches and problems. Moreover, we saw that this had to be offered in a living social context suitable to members of the Mystical Body of Christ as opposed to atomistic Enlightenment individualists. 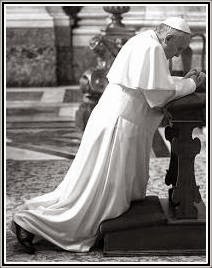 Otherwise, such training would neither confront and overcome our own limitations and errors, nor forge that personal camaraderie that “front line soldiers” in the battle for the restoration of a devastated Christendom need vigorously to nurture. Our Gardone Summer Symposia lectures have resulted in two comprehensive “basic training manuals”: Black Legends and the Light of the World (online at jcrao.freeshell.org and in print from The Remnant Press, 678 pp.) and Removing the Blindfold (Angelus Press, 195 pp.). Both of these texts present the history of the Church as the record of a war; a war between the full message of the Incarnation on the one hand, and the “business as usual” mentality of a fallen world that either reviles the idea of the Social Kingship of Christ or seeks to subvert its dramatic corrective and transforming consequences on the other. Hundreds of tapes from the New York Church History Lectures emphasizing the same theme have also been made available since 1991 through Keep the Faith, Inc (www.keepthefaith.org). But more importantly than anything else, there is no way to measure the significance of the camaraderie that has developed among the American, Canadian, British, Irish, French, German, Austrian, Italian, Greek, Hungarian, Polish, Czech, Slovak, Estonian, Finnish, Spanish, Australian, Mexican, Argentinian, and other Catholics who have attended our Gardone program, and who today aid one another in their battles for the Faith across the globe. Explaining the value of this camaraderie has, for some reason, been the most difficult thing for us to do; but experiencing it in person has been the easiest of the Roman Forum’s benefits for participants to appreciate. Quite simply put, Catholic man cannot and should not live by blogging alone. Anyone who has once gone through the Gardone experience knows that this is true. He knows that the Catholic life is a social one, and international in character to boot. There are gaps in the lectures available through Keep the Faith, and we would now like to put all four hundred fifty of the twenty-five years of New York conferences covering the entirety of Church History on the internet for easy download. We are also eager to publish a third “basic training manual” on the theme of the war for and against the Social Kingship of Christ. This would be based upon the coming summer’s topic: Half a Millennium of Total Depravity (1517-2017): A Critique of Luther’s Impact on the Eve of His “Catholic” Apotheosis. But, once again, such projects, as well as the very existence of our New York and Gardone programs, depend upon our finding the support we need to survive. At the moment, this is all too sorely lacking. What we are asking on the intellectual level is for the words of our motto---penned by Prosper of Aquitaine (c. 390-c. 455) at another moment of great cultural collapse and confusion---to be taken seriously: “Even if the wounds of this shattered world enmesh you, and the sea in turmoil bears you along in but one surviving ship, it would still befit you to maintain your enthusiasm for studies unimpaired. Why should lasting values tremble if transient things fall?” And what we are asking on the practical level is that you help us financially to keep our tiny scholarly ship afloat for the sake of the common cause of rebuilding Christendom. We do not see any other organization dedicated to the kind of systematic education in Tradition that is our special mission, and, once again, we do not see how effective Catholic Action can be undertaken without it. Donations are tax-deductible and can be made by check or by paypal on our website. To show you our appreciation, we have arranged that the intentions of our benefactors be remembered once a month at a traditional Mass offered at the headquarters of Human Life International by our chaplain, Msgr. Ignacio Barreiro-Carámbula. With the acknowledgment of your donation, of any size, you will receive a note confirming that you have been enrolled in these Masses. I thank you in advance for your generosity.